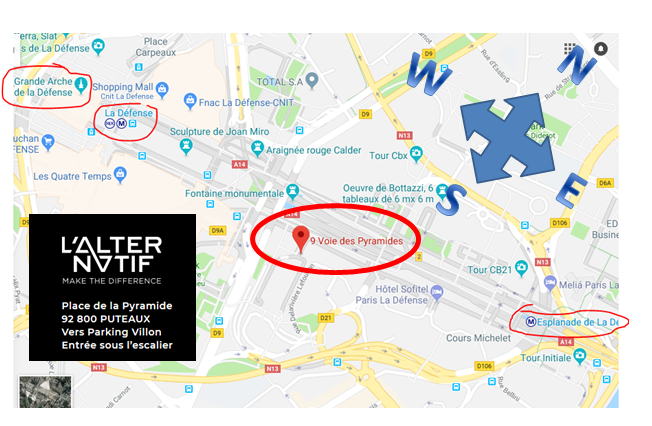 This is our main venue but we also sometimes meet at Le Bistrot A Vin, which is very close to L’Alternatif. 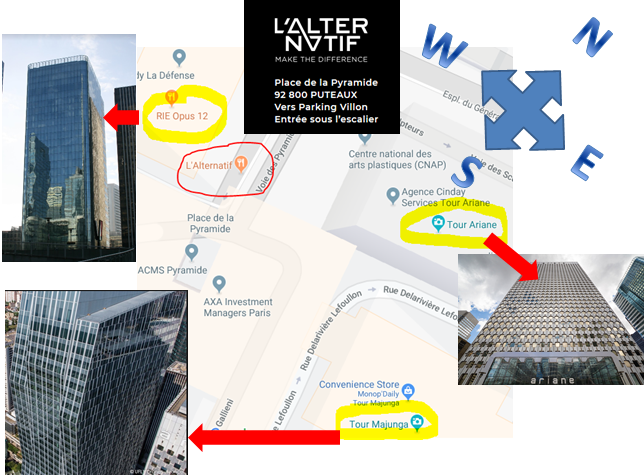 Please always check the venue on meetup or on the calendar. Place de la Pyramide 92 800 PUTEAUX towards the Parking Villon, Entrance under the staircase. 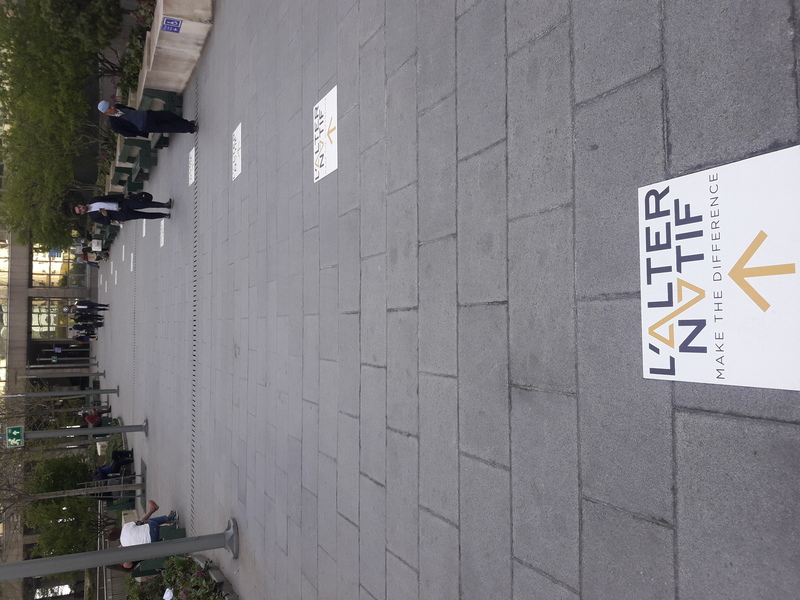 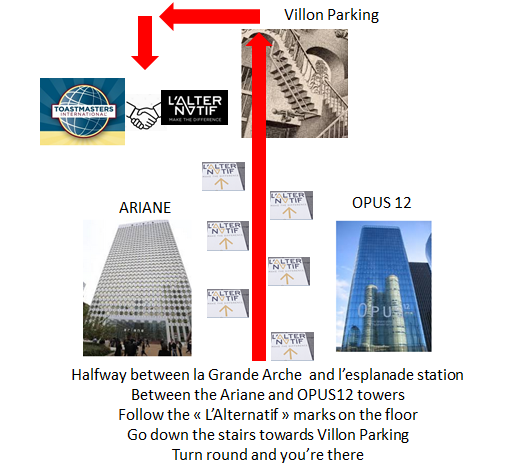 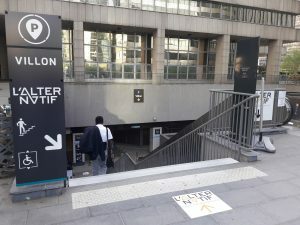 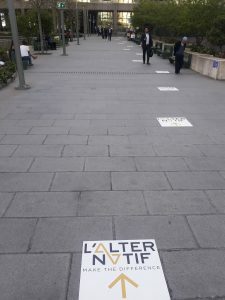 It is located halfway between La Grande Arche and L’esplanade de la Défense station : between the towers OPUS 12 and ARIANE, follow the marks on the floor and go down the stairs, like in the video below.